The eZView 40D encompasses an improved aspheric, ALL GLASS design with our exclusive Broadband Anti-Reflective Coating delivers superior image clarity throughout the viewing field. The computer optimized lens surfaces eliminate optical aberrations. The 40D is Specifically designed to deliver the widest field of view of any biomicroscopy lens available. 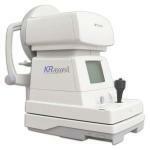 Ultra-wide field viewing and ideal for pediatric ophthalmoscopy. 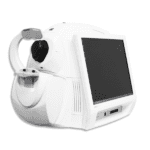 Try the eZView 40D and experience Quality Imaging.